Already bought Wikiloc Premium but can't follow a trail? You're most likely logged into a different account than the one you were the day of the purchase. 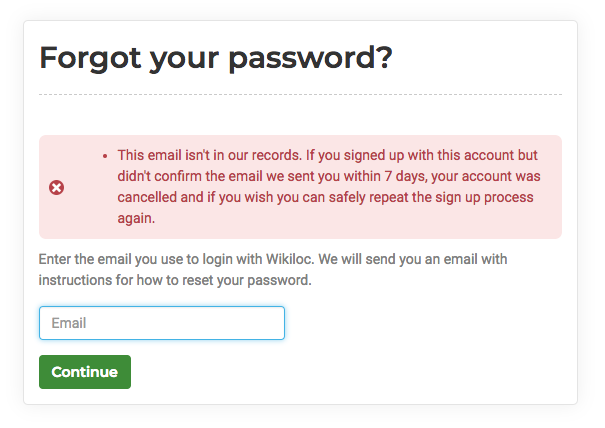 If you don't remember having more accounts, try entering all possible emails in the following password recovery link. If the account does not exist, a red message will appear indicating that the account does not exist.